Offers community banking from two locations in Cheyenne, Wyoming. Wyoming. Serving the employees of transportation companies in Wyoming. Providing Wyoming with the highest level of real estate experience, training and integrity since 1969. Offers farms and ranches in Wyoming and surrounding states. Includes listings and company profile. focusing on coalbed methane. properties in green river basin of wyoming and elsewhere. also provide oilfield services in kansas, oklahoma, missouri, and wyoming. general information for wyoming climbing areas. conditions and road reports. store located in lander, wyoming. Vertical and oblique aerial images for planning, monitoring, advertising and documentation. Serving industries, individuals, conservation and government. Woman-owned small business in western Wyoming. Residential, commercial, farm, ranch, investment, income, lots, acreage, and mobile homes. Covering all of Wyoming including Cody, Jackson, Sheridan, Shell, Ten Sleep, Yellowstone and the Tetons. Wedding photography in Cheyenne, Wyoming, also serving Northern Colorado and Western Nebraska. Jack Joyce photographer has photographed in Fort Collins, Denver, Cheyenne, Chadron, Casper, Douglass, Chugwater, and Wheatland. RV, motorhome, and trailer rentals in Wyoming. Nevada and Wyoming incorporation and corporation assistance. Activities, portfolio and member directory. Provides residential mortgages in Colorado, Wyoming, Massachusetts and Arizona. Providing banking services from two locations in Laramie, Wyoming. Offers both Nevada and Wyoming state corporation and llc formation services. Alfalfa producer located on the Wyoming, Colorado, Nebraska boarder. AGCO dealer in Lingle, Wyoming. Features history, map, and inventory. Assists residents of Colorado and Wyoming locate mortgage lenders. Llama sales and breeding. Located near the center of Wyoming. Financial institution provides personal, business, and investment banking in Wyoming and Montana. Provides loans for purchase and refinance in Colorado, Wyoming, Montana and Texas. Scenic photography from Wyoming, Colorado, and the West - without the Aspen/Jackson price tag! Supplying products for use in environmental protection, drilling fluids, and industrial applications. owns and operates short line and regional freight railroads. (nasdaq: gnwr). Casper,Wyoming used equipment supplier. Includes inventory lists and contact details. operates coal bed methane properties in wyoming and australia. exploring for deep gas in california. A multi-state banking organization operating 36 branches and over 90 ATMs in Montana and Wyoming. Lender provides residential mortgages for purchase and refinance in Arizona, Colorado, Florida, and Wyoming. provides wyoming air quality permitting and other environmental and regulatory compliance services, primarily for the energy industry. Nebraska, Colorado, South Dakota and Wyoming farm and ranch real estate and services. Retail Store serving all of eastern Colorado and parts of Wyoming, Nebraska and Kansas. operates primarily in california. also pursuing exploration in wyoming, texas, louisiana and shallow gulf of mexico. Custom cabinetry design, construction, and installation serving St. George, Wasatch front, Colorado, and Wyoming for 25 years. Chain with stores in South Dakota, Nebraska, Montana, and Wyoming. Company information, services, locations, and promotions. A manufactured housing dealership, offering virtual tours, and floor plans. Serving South Dakota and Wyoming. Arranges loans in Alabama, Colorado, Florida, Montana, North Carolina, Iowa, Utah and Wyoming. Provides website, print design and desktop publishing services. Includes portfolio and prices. Based in Powell, Wyoming. Wyoming distributor of pressure washing, sand blasting, and surface preparation equipment & supplies. Also graffiti removal systems. A lightweight horse feed bag claiming advantages over conventional hay bags. Details and list of local dealers. Based in Big Piney, Wyoming. Specializing in decorative steel work, repairs, custom design, and metal art. Serving the Colorado/Wyoming Area. Outfitters and guides using packgoats in the mountains and deserts of Wyoming and all over the west. Sells goatpacking gear, videos, and other supplies. 62 Buffalo Livestock Auction Buffalo, Wyoming. Buffalo, Wyoming. Includes upcoming sales and location. Experts in real estate appraisal and valuation in Wyoming. Incorporation services in Wyoming. Also provides assistance for those wishing to move existing corporations. Focusing on protecting, or restoring and maintaining exterior logs and wood. Provider of smallwares and restaurant equipment. Located in Cheyenne, Wyoming. Community bank offers banking products in Guernsey, Wyoming. Benefits, bonds, business, life and personal insurance in Montana and Wyoming. The WPPC is interested in education, agriculture and economics of pork production. Mini Donkey and Mini Horse breeder in Powell, Wyoming. Information about courses available in ranching and agriculture. US-based B2B VoIP telephony provider offering converged ip voice and data network services to customers in Wyoming and Rocky Mountain region. Business marketing consultants providing revenue development and facilitation through guest speakers, audio and video management training. Based in Jackson, Wyoming. comprehensive range of forwarding services based in salt lake city, and covering utah, idaho, wyoming, nevada and colorado. Color nature stock photography, including landscapes and close ups, for editorial and advertising use. Specializing in areas of Colorado, New Mexico, Utah, Wyoming. A full service wine and spirit brokerage company that covers the Intermountain States of Idaho, Montana, Wyoming, and Utah. Community bank offers banking services to the vicinities of Casper and Glenrock, Wyoming. Provides civil and environmental engineering services to municipal and private clients in Jackson Hole, Wyoming, USA. Community bank serving eastern Wyoming with branches in Torrington, Lingle and Pine Bluffs. Commercial farmers and feeders in Western Nebraska and Eastern Wyoming. A real estate appraisal and counseling firm providing services in most of the northern and eastern areas of Wyoming. offers information on basic services including, fbo, runway and communications, and links to local services . Manufacturer of modular homes in Nebraska, Colorado, Kansas, New Mexico, South Dakota, and Wyoming. Breeders of Cashmere Goats offering breeding stock, information, and consulting services. Located in Larame, Wyoming, USA. 90 Riverton Livestock Auction Riverton, Wyoming. Riverton, Wyoming. Includes market report, upcoming sales, early consignment program and contacts. Sheet and web offset printing, electronic prepress, bindery, and mailing services. Cheyenne. home power usage calculations, product and new service information, kids corner, and youth scholarships. based in wheatland, wyoming. Distributors of air compressors,air dryers, blowers, pumps, parts and service for the Montana, Colorado, Utah and Wyoming areas. Offers Wyoming residents auto, home, health, life, motorcycle, motorhome, mobile home, and boat insurance. Dealer located in Wyoming for Circle J, Haulmark, Sooner and others steel and aluminum horse and cargo trailers. Chain of grocery stores with in-store pharmacy. Locations in four Midwestern states, plus South Dakota and Wyoming. Corporate information, their house brand, frequent shopper card, map. Engineers, consultants, planners, surveyors whose services include transportation, water, wastewater, solid waste, environmental, and surveying serving western Nebraska and Wyoming. consulting engineering expertise to oilfield inventors, technology developers, service companies, producers, and investors. based in wyoming, usa. commercial and residential propane service for arizona, colorado, wyoming, missouri, and arkansas. includes gas safety information and propane savings calculator. Providing independent CAD and mapping service to landmen, oil and gas companies, attorneys, ranchers, engineers, surveyors and sportsmen, primarily in Wyoming. Professional writers and editors for novels, autobiographies, poetry, dissertations, and technical or business writing. Cheyenne, Wyoming. Represent a range of manufacturers for the supply of playground equipment and site furnishings. Area of operation includes Colorado, New Mexico, and Wyoming . MGA and underwriting manager for property/casualty and excess and surplus lines. Serves retail agents and brokers in the US states of Utah, Nevada, Idaho, Montana, Wyoming, and Colorado. Lender provides real estate financing in Alaska, California, Colorado, Connecticut, Florida, Indiana, Massachusetts, Montana, New Hampshire, South Carolina, Utah and Wyoming. A foundation and structural engineering firm offering engineering services to Northern Colorado, southern Wyoming, and other Front Range communities. australian-based maker of wheels, rims, and accessories. offers photo gallery of available rim colors, product specifications, and contacts. based in wyoming, michigan. Professional and trade association for Wyomings commercial and savings banks. Site has a list of members, information on jobs, and training news. rawlins, wyoming, united states. specializes in heavy duty and semi towing and recovery services, load transfers and accident clean up. Wood protection and restoration company specializing in long term maintenance problems of exterior logs, siding, decks and roofs. Photography services: Weddings, Children, Families, Special Events, High school seniors. Commercial photography and complete copy and restorations available. Wyoming. Showcasing high quality ranch and farm real estate properties in Colorado, Wyoming, Nebraska, South Dakota and Kansas. Exploration and mining of Wyoming bentonite used for drilling, pelletizing, metal casting, water absorption, grouting and sealing. Includes mineral characteristics, uses and technical data. Multi-line insurance adjusters and investigators for Montana and northwest Wyoming, USA, including property, casualty, fire, inland marine, aviation, and workers compensation. Suppliers of new steel, aluminum and stainless steel. Produces and distributes native seeds from Utah, Idaho, Wyoming, Colorado and Nevada. 125 Affiliated Foods Inc. Amarillo, Texas. Vendors of Magnolia Homes servicing the Rocky Mountain region, including Wyoming, Colorado, New Mexico, Nebraska. View floorplans, options and request pricing online. oil refining and marketing company with refineries in wyoming and kansas. primary products include gasoline, diesel and asphalt . Interior design and design mural of the Grand Tetons for office decor and home decor, featuring professionally photographed and mounted murals. Service and supply of portable fire extinguishers in Wyoming. Fee based advertising with photo for horse and pony sales. Features on-line editor, on-line searchs within specified miles from zip code, events listing, ranch ads. Located in Buffalo, Wyoming. Custom cabinetry maker with showroom offering cabinetry, appliances, plumbing fixtures and remodeling services in Billings, Montana. Serves Montana/Wyoming. Educational, motivational, and inspirational programs for the real estate professional. Continuing education and pre-license classes for Wyoming real estate licensees and candidates. Specializing in mining, geotechnical and environmental engineering, mine planning and design, mine reclamation, and permitting. Headquarters located in Casper, Wyoming. A residential mortgage lender in Oregon, Washington, Colorado, Wyoming and Alaska, specializing in VA loans, FHA loans, and conventional loans. Specializing in images of Jackson Hole, Wyoming, Grand Teton, and Yellowstone National Parks. Categories include nature, landscape, wildlife, people, and outdoor activities. Ohio based mortgage broker offering debt consolidation, mortgage refinancing and home purchase loans in Alaska, Colorado, Montana, Ohio and Wyoming. Custom homes for families in a seven-state region. Build homes for clients in Iowa, Nebraska, Colorado, Wyoming, South Dakota, Kansas and Northern Missouri. Offering 2 sale barn facilities in Torrington, Wyoming, plus Satellite Video Auctions. Bonded Country Dealer Company. Home of auctioneers Lex Madden, 1998, and Shawn Madden, 2001.
aviation gateway to yellowstone national park and northwest wyoming. offers a range of information for passengers including airport layout, services, facilities, news, ground transportation and contacts . Residential and commercial Design located in Jackson Hole, Wyoming. Log homes, log cabins, and commercial design utilizing native materials and new & antique lumber, in the Rocky Mountain style. Serves most of Idaho, Eastern Oregon, Eastern Washington, and Western Wyoming with sales and service of Caterpillar equipment. transmission cooperative supplying wholesale electricity to ten member rural electric cooperatives in 33 counties in montana, north dakota, south dakota and wyoming. sales and service of a wide range of recycling and solid waste management equipment, including: industrial trash compactors, balers, air systems, conveyors, and shredders. cover the states of alaska, colorado, idaho, montana, oregon, utah, washington, and wyoming usa. Credit union information from the Colorado and Wyoming Credit Union Leagues. IMpaca! The Intermountain West Alpaca Association. An affiliate of the Alpaca Owners and Breeders Association IMpaca! has members in Idaho, Montana, Utah and Wyoming. premier armored car, express courier, and air charter service covering the northwest, including montana, utah, idaho, wyoming, and eastern washington. security armored express provides secure money transportation, money room and vault services, atm servicing and cash replenishment, coin counting and wrapping, pay phone collection, express and overnight courier deliveries, and air charter services. Specializing in custom rustic log furniture from Wyoming native woods such as Juniper and Burl Aspen. Unique western-themed baskets for any occasion. Located in Buffalo, Wyoming and offers nationwide shipping. Historical books about Wyoming and the West, cowboy books, award winning poetry of the American West. Check out our Splash Gear! Handmade and custom iron accessories. Designs include breakfast, wedding, snack and a Wyoming theme. Wyoming made, produced one at a time from bone, leather, wood, and various steels. Offering backpacking, camping, and hunting equipment and supplies. Sells radios, power supplies and parts. Located in Riverton, Wyoming. Specializes in gourmet foods and gift items from the Rocky Mountain region. Manufacturer of fabric covers for all kinds of aircraft. Located in Sheridan, Wyoming USA. Gift baskets, gourmet foods and other gifts for all occasions. Includes contact information. Services Idaho, Montana and Wyoming. Original vendor for skiing, hotel and event tickets. Buffalo and elk steaks, jerky, burger, and sausage from Jackson Hole, Wyoming. Offers a variety of vertebrate and invertebrate. Specializing in material from the Green River Formation, Wyoming. Offers bison sausages, burger, and steaks. North Green River, Wyoming. Wheat Country photographs expressing the lyrical graphic qualities of the farmland of eastern Washington, Wyoming and Montana. Vegetable oil soaps and salt scrubs. Offers monthly specials. Full line of buffalo meat, elk and antelope. Log furniture manufactured in S. W. Wyoming, shipped anywhere. Buffalo meat products in any quantity. Also offers recipes, artwork, and nutrition information. Longarm machines for quilting and embroidery, KenQuilt dealer for Colorado, Wyoming, and Montana, with information on sewing. A collection of seasonal landscape images from Colorado, Arizona, Utah, and Wyoming as well as night and star trail photography. Available as laminated or framed and matted prints. Gallery of limited edition hand signed photographs. Subjects include landscapes, wildlife and flora, shot primarily in Wyoming, Utah and Vermont. Offers bison steaks, burgers, roasts, jerky, and sausage. Also offer buffalo robes. Gift Baskets for any gift giving occasion. Including gifts of gourmet foods with the western flavor of Wyoming and the Rocky Mountains. Specialties include the history and literature of the Old West, Wyoming history, cowboy poetry, history of firearms. a line of western steak sauces made in Buffalo,Wyoming at the foot of the Bighorn Mountains. Free range grass grown premium beef. Also available, grape seed oil and grape seed oil dressing. Leather cell phone cases, handcrafted briefcases, spur straps, chaps and custom saddles. Offers Wyoming natural grassfed beef and lamb free of hormones or growth stimulants, working ranch vacations, and recipes. Includes photos, location and contact details. Hand Crafted furniture made of Aspen. Located in Lander Wyoming. We use high protein hard spring wheat, flour in several sizes, pancake mix, cracked wheat cereal, biscuit mix, whole wheat, cracked wheat, bran flour. Includes information for rodeo contestants, spectators, sponsors and media. Also includes general information and links for Pine Bluffs, Wyoming, Cheyenne, Wyoming, and Wyoming in general. Includes dates, ticketing information. Wyoming. Schedules, team report, and Wyoming merchandise. News and action on the Wyoming Cowboys wrestling team. These pages contain descriptions of each Wyoming highway, along with some commentary. Serving Wyoming hospitals and health care professionals with information, education, and representation. Classic Shetlands featuring Arenosa bloodlines and australian shepherd dogs. Stock for sale and links. Wyoming. Fully outfitted mountain snowmobiling in southern Wyoming. Lodging, meals, and new top of the line equipment provided. Schedule, statistics, roster, alumni tracker, and injury information for the Wyoming football team. Collector from Wyoming specializing in optional graphic plates from across the U. S. Information on Wyoming license plate collector events. The Half-Mind Catalogs listing of contacts for all Wyoming Hashes, maintained by Flying Booger. News, schedule, player and coaching profiles, statistics and depth chart for the Wyoming football team. Preview to ski resorts and snow conditions in Western Wyoming. Online travel services and special vacation packages. Cattle drives and real working ranch vacations on the Wyoming-Montana border. Details and history, facilities, activities, prices and a photo slide show. Lovell, Wyoming. CFB Wyoming Doanes Summary, list of Wyoming Doanes. Information about Wyoming racquetball and tournaments. Showcasing Wyoming county fair championship entries and other events. Survey and photographic memories of 2001 State Fair. Information on proposed equine center. News on the Wyoming Cowboys continually updated from thousands of sources around the net. Greater Wyoming Chapter. News, information and entry blanks for events, horse trails, clinics & local jumping competitions with emphasis on central Wyoming. Links,calendar of events & reports on recent competions. Membership forms & club information also included. The 'Global Trash' Roster of all Hashes in the state of Wyoming, maintained by Stray Dog. Serving Douglas, Wyoming, and much of eastern and central Wyoming with full medical care and facilities. In addition to family health care and general surgical care, specialty practices based in MHCC in colon/rectal surgery and orthopaedic surgery draw clients from nearby states. Route log and exit list. 231 USA Today - Wyoming Cowgirls Schedule/results, roster. Includes all freeways and major state and U.S. routes. Roster, schedules, scores, statistics, and recruiting. Pictures of their dogs and links. Riverton, Wyoming. Includes contact information for this Pro Rodeo Clown. Meeteetse, Wyoming. Pictures, pedigrees, and contact information. Carpenter, Wyoming. Horseback adventure riding vacations in the Wyoming Mountains. Provides an overview and contact details. Includes schedules, scores, statistics, and roster. Includes ticketing information, dates, times, and other activities. Team report, schedule, statistics, and a message board. Trip reports and photos from mountaineering and climbing in Colorado and Wyoming. An annual bicycle ride across the cowboy state. Packaged hunts on private land in the Black Hills of N.E. Wyoming. Photos from Montana, Leavenworth and Index, Washington, and Devils Tower, Wyoming. Offers seasonal dog sled and snowmobile tours in the mountains of Wyoming. Team report, standings, schedule, statistics, and roster. Offers big game hunts in the wilderness areas west of Cody, Wyoming. Includes services, summer programs and registration information. Contact information, driving directions, and emergency hours. Wyoming. Schedules, statistics, standings, injuries, rankings, and team reports. RV and mountain area camping in Buffalo, Wyoming near the beautiful Bighorn Mountains. Features reports, weather forecasts, current conditions and locator map. Raising working dogs in Douglas, Wyoming. Photographs, pedigrees, and litter announcements. Full service outfitter with elk, mule deer and antelope hunts. Non-profit assists Sublette County, Wyoming patients who are undergoing treatment. Team notebook, interactive playbook, roster, schedules, and results. Slide show and pictures of their dogs, and litter announcements. Sheridan, Wyoming. Objects and rules for an annual charity tournament on the North Platte River, Casper, Wyoming. Wheatland, Wyoming breeder. Features information about shipping and photo gallery. Rivals.com network coverage of the University of Wyoming with current standings, news items and player highlights. Located in Cody, Wyoming. Includes stock profiles, pedigrees, photographs, and sales. Big game outfitter, and guide service. Specializing in antelope. Based in Shoshoni. Bulletin board, newsletter, and a photograph gallery of available dogs. History, stallion services, stock profiles, photographs, and sales. Lovell, Wyoming. Breeding and sales of paint and quarter horses. Located in Laramie, Wyoming. Rifle and bowhunts in the Black Hills of Wyoming and North Platte river bottoms of Nebraska. Cowboys. Contains a listing of players, game schedule, news items, statistics, and a media guide. Training in Rockford, Grand Haven, Caledonia and Wyoming, Michigan, USA. Calendar, gallery and dojo details. Trip reports from Potrero Chico, Mexico, Yosemite, California, and Cirque of the Towers, Wyoming. Photos from around the US. Offers horse sales, programs and rides. Includes schedules, pricing, FAQs and contact information. Riverton - RC model associations information, newsletter, calendar, field map, pictures, and related links. Cowboys. Pictures, news release, rosters, personal records and upcoming races. Custom construction, repair and restoration of wood sailboats and powercraft. Located in Wyoming, Minnesota. Located in Cheyenne, Wyoming offers custom, new and used saddles and tack for the western horseman. Repairs and restorations are also available. Information about company, types of mounts, pictures, pricing and contact form. Studio located in Wyoming. Offers Wyoming big game hunting, fishing and pack trips in the country of the Absaroka Mountains. Features wagon train rides along the historic Lander Cut-Off of the Oregon Trail. Includes photographs and services available. Cowboys. Articles, scores, statistics, game summaries, pictures and recruiting details. Cowboys. Press releases, coaching staff, recruiting, scores, pictures and an outlook of the season. Offers professional/vocational school, and tuition for beginners and novices in Colorado and Wyoming. Includes curricula and rates. Trip reports and photos from Red Rocks, Nevada, Devils Tower, Wyoming, and Squamish, Canada. 'Best of rec.climbing' entries. Cowboys. Pictures, articles, roster, coachs introduction, season preview and past results. A literary humor site including some rather nice recipes, on occasion. Maintained by the Laney family of Steeple, Wyoming. Non-profit volunteer organization. Pictures and descriptions of available Shelties, adoption and foster applications, and Heidis story. Photos from Devils Tower, Wyoming, Cochise Stronghold, Arizona, Spain, and the authors non-climbing trip to South Africa. Offers five-day wagon train trips along the Oregon Trail. Includes itinerary, recommended gear and reservation information. Standing three stallions and specializing in foundation-bred horses. Breed history and information, and stock for sale. Located in Greybull. News, calendar, schedules, standings, roster, and statistics. A U-13 girls competitive team playing the Mid-Atlantic Soccer League. Wyoming. Offers camps in the Wyoming Range for elk, mule deer, and moose. Hunting is done from horses, 4X4, and mules. Includes a brief description, pictures, and price information. Specializing in starting and preparing young Hunter/Jumpers. Includes details of facilities and horses for sale. Located in Sheridan, Wyoming. Information about areas in and around Pinedale, Wyoming. 60 km of marked groomed trails. Offers outfitting, and guide services in Wyoming and Montana. Offers big game hunts in Colorado and Wyoming. 305 Cheyenne Frontier Days Pro Rodeo. Offering hunting, outfitting, and guide services in Wyoming and Montana. Schedule, roster, statistics, ticket information, television and radio information. Promoting golf in Colorado and Eastern Wyoming. A treatment facility and remote boarding school that specializes in wilderness therapy and positive reinforcement programs. Helps young men 18-22 years of age. Wyoming. Comprehensive football, basketball, and recruiting coverage for the Wyoming Cowboys. Watch our highlight videos, chat with other users, and post your opinion on our rockin fan forum. Offers rack, mounts, rugs and shed antlers. Includes a catalog and order information. Located in Pinedale, Wyoming, United States. Outfitted hunting and guide services in central Wyoming. Includes services, map, and references. Details of services to persons with developmental disabilities in the Laramie, Wyoming area, including hippotherapy. Antelope, deer, and elk hunts in Colorado and Wyoming. Includes hunts, photographs, and contact information. Cutting events for Kansas, Wyoming, Nebraska, and Colorado are listed on this site. Schedule and registration for team and individual camps held in Florida, California, and Wyoming. Produces wild grape and fruit wines in Sheridan County. Also sells winemaking and home brewing supplies. Contains customer testimonials and online ordering. Cowboys official site. News, roster, coaching staff, schedule, results, season bests, school records, and links. Located in Riverton, Wyoming. Pictures, show schedules, information about grooming, breed history and colors, recommended reading, articles about declawing and spaying, and a fun page. Members gain exclusive access to quality catch-and-release fly-fishing along 31 private rivers, streams and ponds in Colorado and Wyoming. A resident-oriented provider specializing in small and mid-sized markets in the US, including Colorado, Idaho, Montana, New Mexico, Oklahoma, Wyoming and Utah. Trip reports and photos, primarily from Colorado Fourteeners but also from rock climbing in Vedauwoo, Wyoming and various locations in Colorado. Standing Moon Badger Jack and offering sales, reining training and stallion services. Located in Wyoming. Providing the residents of North East Wyoming and Southern Montana with comprehensive orthopedic and sports medicine care. Breeding Cockers in Newcastle, Wyoming with an emphasis on obedience and agility. The web site features information about Cockers as well as some lovely pictures of their dogs. Trip reports and photos from Denali, Alaska, Ama Dablam, Nepal, Cho Oyu, Tibet, Mount Blanc, France, Longs Peak, Colorado, and the Grand Teton, Wyoming. Lodge is located on a ranch near Big Piney. Hunting and fishing are also available from the camp in the Bridger-Teton Forest of the Wyoming Range. Features contact information and hunts. Annual waterfall ice climbing festival. Site contains information about the event, photos, and registration information. Located in Cody, Wyoming, United States. Includes sales list, photos, and profiles of horses. Offers boarding, dressage training, and lessons. Home to Sunlight Pony Club. Located in Powell, Wyoming. Guided backcounry skiing trips in the Grand Tetons of Wyoming. Improve your telemark skiing and learn backcountry avalanche safety techniques. Trip report and photos from Aconcagua, Argentina, Devils Tower, Wyoming, Moab, Utah, Longs Peak, Colorado, and mountaineering in Colorado. Wyoming hunting, fishing, and camping trips. Guided tours in Yellowstone Backcountry. Licensed to do business in Yellowstone National Park. A working horse ranch in southern Wyoming accommodating six guests at a time. Horses available for trail rides and cattle drives. Club promoting the sport of walleye fishing and conservation efforts in the state of Wyoming. Includes news, reports, photos, forums and membership details. Provides an overview, personnel roster, apparatus, scanner frequency, contact details and news. Includes memorials. Located in Camden. Guided hunts in southern Utah for mule deer. Plus, hunts in Idaho, Montana, Wyoming, and Canada. Includes photographs and contact information. Horse oriented outfitting business in North Western Wyoming with a base camp in the Bridger-Teton National Forest. Qualifications and permits, details on services offered, and contact information. Provides new and in-print books, videos, original artwork, and greeting cards to falconers, raptor enthusiasts, and sportsmen. Includes ordering/returns information and contacts. Located in Ranchester, Wyoming. Wilderness canoe adventures in Colorado, Utah, Wyoming, New Mexico, Alaska, Minnesota and Canadian rivers. Trips include all food, guides and equipment. Adventure horseback vacations in western Wyoming. Fast-paced horse drive, high deserts and meadows for all experience levels. Details of packages and booking details. Guest ranch experience at a Wyoming working cattle and sheep ranch offers camping, historic tours, and western re-enactments. Specializing in futurity horses and non-professional riders. Prospects and finished horses for sale. Located south of Jackson Hole, Wyoming. They offer ski camps to expert skiers and snowboarders in Jackson Hole Wyoming, Valdez Alaska, La Grave France, and Verbier Switzerland. A western ranch for teenagers near Cody, Wyoming, with horseback riding, backpacking, fishing, rodeo, gymkhana and work program. Includes a tour of Yellowstone Park and the Tetons. Wagon train adventures and horseback trips near Yellowstone National Park and Jackson Hole, Wyoming. Llama packing outfitters located in Lander, Wyoming. Offering guided, and nonguided services. Offers a non-profit working experience for youth that takes place on the family cattle ranch in Wyoming. Restorers of mini bikes from the 60s and 70s. Features projects, photos and links. The Oravetz family homepage featuring anecdotal family fun, travel tales, midis and spiritual inspiration. Travel to Canada and Wyoming. Local lawnmower racing in Wyoming County, Pennsylvania. Features rules, points, schedule, pictures and safety information. Group skiing, group rafting, business conference lodging, retreat lodging in Colorado, New Mexico, and Wyoming resort destinations. Perpetuating the common sense use and enjoyment of horses in Americas backcountry and wilderness lands. Offering general information on the organization, member units, activities, news, and links. Fishing and hunting outfitters for elk, moose, deer, bighorn sheep. Gros Ventre and Bridger Wildernesses, Bridger-Teton National Forest in western Wyoming. Includes pricing and trips available. Wyoming guest ranch and outfitter, offering guided big game hunts, horseback adventures, fishing, winter recreation and family fun. Includes trip details, rates, photos and testimonials. Located in Lander. Offers wrangler weeks, cattle drives, Outlaw Trail leases, trail riding, and hunting trips. Contains reservation information, FAQs, description of services, rates, and photos. Located in Grass Creek. A notebook computer wholesaler located in Wyoming, Michigan. Offers multimedia development and custom programming. Located in Wyoming, United States. College student offering site design services. Based in Cheyenne, Wyoming, United States. Offers design, domain registration, hosting assistance, maintenance and marketing services. Based in Lander, Wyoming, United States. Design and e-commerce packages. Casper, Wyoming, United States. Design, maintenance, e-commerce, database development, search engine optimization, domain name registration, and hosting. Locations in Casper and Laramie, Wyoming, United States. Offers design and digital logo design. Based in Rock Springs, Wyoming, United States. Covers Arizona, Colorado, Idaho, Montana, New Mexico, Utah, and Wyoming. Includes committee contact information and PowerPoint presentations from previous meetings. Free Windows compatible screen saver with spectacular photographs of Jackson Hole, Wyoming. Resource for foosball enthusiasts in Wyoming. Provides Wyoming foosball news, locations, and tournament promotion. Covers Utah and Wyoming. Tournament schedule and results, club directory. Official site. Scorecard offers Upcoming Tournaments, Tournament Results for Arizona, Colorado, New Mexico, Nevada, Texas, and Wyoming. 410 USA Today - Wyoming Cowgirls Schedule/results, roster. 444 Cheyenne Frontier Days Pro Rodeo. Gymnastics facility located in Wyoming, Michigan. Classes for all ages and abilities. Contains information on birthday parties, classes, forms and newsletters, map-directions, rates, registration, schedule, staff, and a contact page. This 1/3 mile, semi banked, asphalt oval auto racetrack features Pure Stocks, Street Stocks, 4 Cylinder Stocks, Limited Modifieds, Late Models and Pro Truck racing events. Located in Perry, this 1/3 mile, semi banked, asphalt oval features Pure Stocks, Street Stocks, 4 Cylinder Stocks, Limited Modifieds, Late Models and Pro Truck racing events. History, schedule and rules for ranch roping events held throughout Montana and northern Wyoming. Club for Iowa, Kansas, Minnesota, Nebraska, Colorado, North Dakota, South Dakota, Wyoming, and parts of Ontario and Manitoba, Canada. Contains awards, forms, classified advertisements, calendar of events, and contacts. Standing dun stallion at stud. Includes sales list, photos, and profiles of horses. Contains history and breed standard. Offers longhorn cattle, angus cattle, and longhorn art for sale. Located in Fort Laramie, Wyoming, United States. Offer guided expeditions in western US and Alaska some international locations. Trips include mountaineering, climbing and canyoneering, ice climbing, backcountry skiing and snowboarding. Mountaineering, ski and snowboard mountaineering camps, glacier and avalanche training are also offered. Based in Wyoming. serves the state of wyoming. provides online ordering, client and vendor log-in, and faqs. a non-profit organization supporting professional development, data and statistics, and advocacy efforts to improve outcomes for children and families in wyoming. Located in Laramie, Wyoming. Includes fraternity information, photos, and contact information. The Arapaho flag on the Wind River Reservation, Wyoming. Includes a history. The tobacco industry funded more than three-quarters of a campaign against a proposed Wyoming restaurant smoking ban. FAQ, beliefs, and a brief history. general practice based in wyoming. Article about the Arapaho Nation. personal injury attorney based in wyoming. Casper, Wyoming (Charismatic). Beliefs, service schedule, and ministries. government relations and lobbying firm based in Colorado, and Wyoming. Brief history of the bandit-gang that operated from the infamous 'Hole in the Wall' in Wyoming. provides professional, dignified ash scattering from an aircraft serving colorado and parts of wyoming and kansas. Includes events, contacts, list of lodges, and officers. history, membership, survey, cle, regions, newsletter, and contacts for statewide association. information about the state office, conservation and education programs, and contacts for local chapters. Located in Casper. Includes events, contacts, list of lodges, and officers. Services, mission, ministries, music, youth, schedule, staff, links and contact. 509 Wyoming Baptist Church Cincinnati. Cincinnati. Contact information, service schedule, staff directory, calendar of events, and newsletter. providing business and litigation services from offices in colorado, utah, new mexico, wyoming, idaho, and washington, dc. 511 Harvest Christian Center Laramie, Wyoming. Laramie, Wyoming. Weekly schedule, special events, calendar, contacts for various ministries. Too wide for most monitors. Wyoming psychic channels St. Germain and the Brotherhood of Light. Features schedule of events, products and services. Wyoming. Contact information, directions, worship schedule, announcements, profile of the pastor, regular meetings, sermon archive. About Meaty and his cyber-corner of Wyoming. Opinions, pictures, links, and web cams. Experience the Doom Wagon and Haunted Manor. Includes photos, dates, hours, ticket information and directions. Located in Wyoming. Cowboy ministry in Meeteetse, Wyoming introduces training and mission opportunities and a rodeo camp. Find fellowship meetings, a calendar, or volunteer. court reporters based in aurora serving colorado and wyoming. professional references, list of services, on-line scheduling, contacts. provides information on basic programs, special programs and pre-service training. online forms available. general traffic accident reconstruction available nationwide, from certified accident reconstructionist. based in wyoming. offering complete funeral services, monuments, markers, and crematory to the cheyenne, wyoming area. one wyoming mothers story of frustration with the child support legal system. wishes to form a network of other parents in order to take group action. Bible believing preaching gospel in love. Offers good news, schedule, calendar, downloads and free webmail account. Research covers Virginia, Minnesota, South Dakota, Iowa, Nebraska, Kansas, Missouri, Wyoming. Compiled by Tami Dolan. The story describes a violent episode during Colonial America, and the history was written by a descendant of massacre victims, not a historian. Contact information, and links to the Montana-Wyoming Tribal Leaders council site, and council members sites. wyoming general practice firm offering services for matters including corporate, estate planning and administration, municipal, real estate, dispute resolution, and personal injury. weddings in jackson hole wyoming and grand teton national park. A Reform Jewish Congregation in the community of Wyoming in Cincinnati, Ohio. offers training for lawyers and judges. programs are presented at the college located in dubois, wyoming. regional seminars are also offered. 539 Casper Church of Christ Casper, Wyoming. Casper, Wyoming. Features contact information, worship schedule, fellowship activities, mission information, finding God, transcripts of sermons. Missionary serving with Western Frontiers a cowboy outreach ministry of YWAM in Wyoming. Their vision is to reach the Western world through Cowboy Church services at sale barns and rodeos. Sherril Erfurth, professional family historian with emphasis in the Colorado and Wyoming areas. Features worldwide pedigree creation, heir and estate searches, and background information for genetic research. $30 per hour, plus out-of-pocket expenses. offering funeral and cremation services, merchandise, monuments. pre-arrangements and pre-financing of final services in north east wyoming. site includes staff profiles and maps and directions. video services for law firms, including video depositions, editing of depositions, 'day-in-the-life' documentaries, and production of profession video programs for court presentations. Free and Accepted Masons, Prince Hall Affiliated. Message board, pictures, and links. Film history in Wyoming, movie tours of Jackson Hole, photos, videos, locations, and documentaries. university of wyoming alumni band association, includes pictures, bylaws and contact information. jamie allen interviews the author about the novel 'miss wyoming'. wyoming tumblebeaders bead society is a bead club society serving southeast wyoming and northeast colorado. Information about 20th century film in Wyoming, USA. excerpt from chapter one of the novel. presenting her debut novel, wyoming wildflower. profile, pictures, cds, and schedule for the wyoming based singer/songwriter. Includes calendar, history, and members list. paintings, works on paper, and yantras (symbols) from this wyoming artist. 563 artist printshop giclÃƒÆ’Ã‚Â©e printing. giclÃƒÆ’Ã‚Â©e printing. includes services and pricing. based in sheridan, wyoming. an interview by alexander laurence with a discussion about the authors book, 'miss wyoming'. 565 di tommaso galleries scottsdale, az. Scenic photos of National Parks and other areas in Utah, Wyoming, Montana, Idaho and Arizona. on-line portfolio of western-themed watercolor artwork by wyoming-based artist. includes biography. the author talks about his book, 'miss wyoming', and his connection to generation x.
album information for the band from jackson, wyoming, with bruce hauser. live country music every weekend. located in buffalo, wyoming. Territorial news serving South Dakota, Wyoming and Nebraska. Includes the Gillette area. The Caravans are a surf/garage rock band from Laramie, Wyoming. The official site has MP3s, photos, articles, and other information. includes officer list, members gallery, bead challenges and shows, newsletter, and calendar of meetings and events. cowboy poetry from annual event in wyoming. archived webcasts available. womens barbershop in ontario west of 85 degrees longtitude, michigan, illinois, indiana, wisconsin, iowa, missouri and kentucky, alberta,british columbia, manitoba, saskatchewan, alaska, alabama, arizona, arkansas, california, colorado, hawaii, idaho, kansas, louisiana, minnesota, mississippi, montana, nebraska, nevada, new mexico, n. dakota, oklahoma, oregon, s. dakota,tennessee, texas, utah, washington and wyoming. SiteBook Wyoming City Portrait of Wyoming in Illinois. 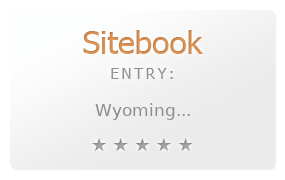 This Topic site Wyoming got a rating of 4 SiteBook.org Points according to the views of this profile site.